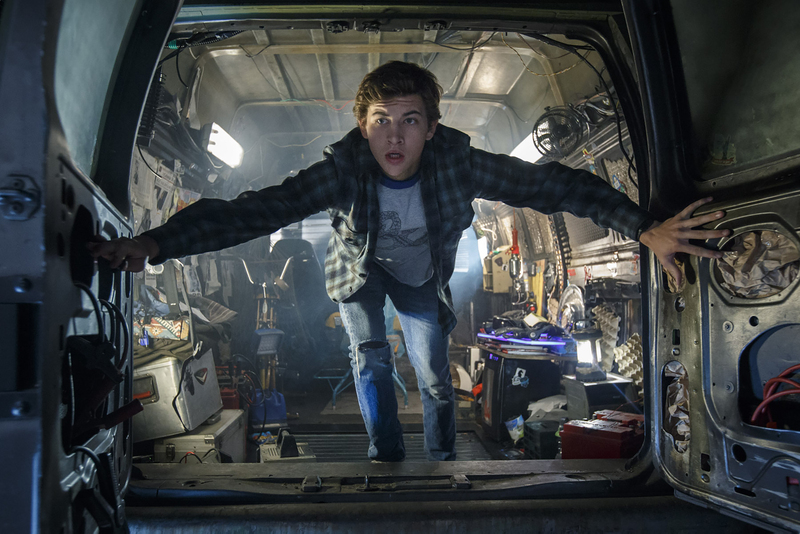 Steven Spielberg’s Ready Player One is a vivid, futuristic, action-packed adventure that is also a celebration of fandom, geekery and all the things that captured the imaginations of kids growing up in the 80’s and 90’s. The film is not only a homage to the amazing minds behind our favourite video games, but also to those who play the games, enjoy cult movies, or hard-core love any pop culture fandom. 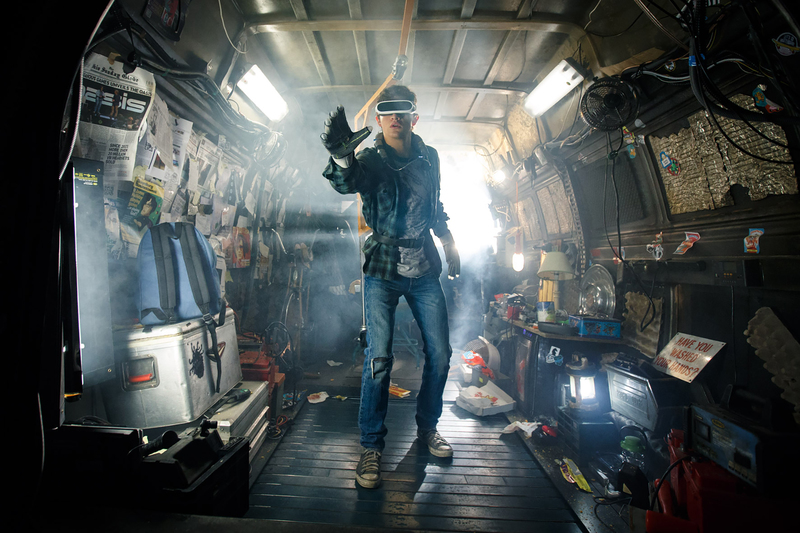 Ready Player One is based on the novel by Ernest Cline, who also worked on the screenplay with Zak Penn. The book is laden with pop-culture references, and there was much anticipation and speculation around what of these would be squeezed into the film. Those who read the book might be surprised to find that very few of the references were carried across onto the screen. This isn’t to say that the film made bad choices, just different and perhaps more visually-effective ones. The movie starts off with a bang, and we have barely met our young hero Wade Watts (played by Tye Sheridan) in the “real world” before we are on the CGI flip-side, which we learn is a virtual world called in the OASIS. The OASIS is a vast online universe that offers players the option to go someplace else, but more importantly to be someone else. Wade spends most of his time inside the OASIS, which is the only things that means anything to him. Wade is a ‘gunter,’ someone who has made it their goal in life to seek out the end-game of an epic quest that has been set out by deceased techno-genius James Halliday. The aim of the game is to find the ‘Easter Egg’ in the OASIS, which will award the victor Halliday’s massive fortune, along with the company he built. The game itself consists of three puzzles, and the clues will only be apparent to those who know everything about Halliday, right down to some minute details. Luckily he recorded his entire life in public-access video journals! Despite this, we learn that it has been years, and so far no one has been able to beat the first quest. The film moves along at a rather rapid pace and the plot is established quickly, and you have to go along for the ride. Ready Player One’s setting of a fictional future America is bordering on dystopian. The world is hanging on by a thread, and that thread isn’t even real. Behind the glossy virtual world, citizens dwell in “stacks” which are 30-storey high structures fashioned out of motor homes, vans and scaffolding and those eking out an existence in the harsh reality find their escape by plugging in to the OASIS. Some have made “egg hunting” their business, like the giant corporation IOI, with thousands of people in its employ and the sole aim to win the game. IOI is run by the maniacal Nolan Sorrento (Ben Mendelsohn), who has a chip on his shoulder and an abundance of resources at his disposal. Mendelsohn has been type-cast recently as the corporate baddie, but this is because he plays the role so superbly. Sorrento is a money-man, who wants to win the Egg as a means to “control of the future,” but plans to do so by exploiting others and using his privilege, rather than any actual skill. IOI also operates “Loyalty Centres”, a way in which already poor citizens are forced to work off their easily accrued OASIS debts inside virtual reality jail. Despite being pure fantasy, the film glaringly holds up a mirror up to the world we live in now, and shows us an image of a future that seems scarily all-to possible. 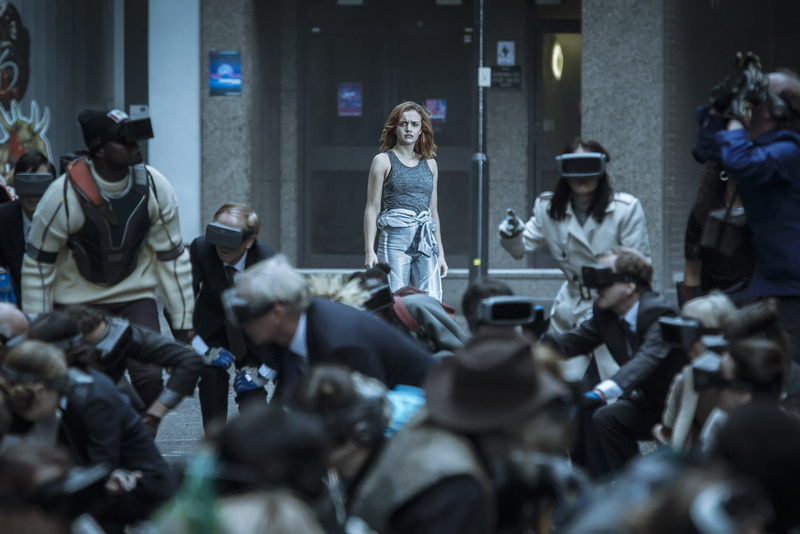 Inside the OASIS Wade meets fellow gunter Art3mis played by Olivia Cooke, and it is clear that she is a contender for the prize. We learn later that she has history with the IOI and her own personal reasons for wanting to find the Egg. Their budding romance is a footnote, that conveys more about her character than Wades. In fact the character development of Wade is sadly a little anaemic throughout the film, and it is one of those cases where a tiny bit more time spent on his backstory would have tipped the film from great to outstanding. Nonetheless, the supporting characters make up for this! Before long Wade has formed a clan (despite stating he “doesn’t clan” a number of times) which includes his virtual-world best friend Aech who has the skills to “mod” things and create useful objects inside the virtual world. Once Wade, Art3mis, and Aech succeed at the first quest they share their knowledge with Shoto and Daito, two skilful gunters, who quickly become allies, and as a team they work their way through Halliday’s puzzles and vie to win the game before IOI can beat them to the punch. Slick and spectacular, Spielberg’s film is ultimately a fast-paced action film, with a clever premise, and likeable characters. There is plenty of attention to detail, funny dialogue, and more pop-culture references than you can even imagine. 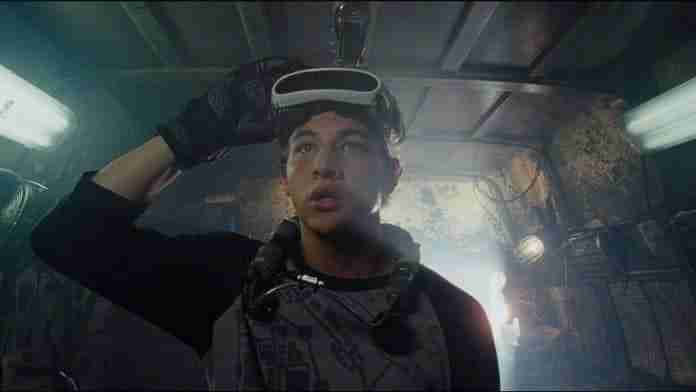 Yet, Ready Player One is a loving tribute to all things nerdy, and that is really what sets the film apart. Ready Player One is in Cinemas across Australia now. Ready Player One is a typical hero-quest, that honours all those that came before it. This is an action-packed CGI spectacular, that is non-stop from start to finish. As always, Steven Spielberg brings the best out of the story and the characters, and has created an engaging and exciting world. Children of the 80's and 90's, and those with a love for retro gaming, cult classic movies, and all things nerdy, this one is for you!